20 years go by in a flash whoosh! 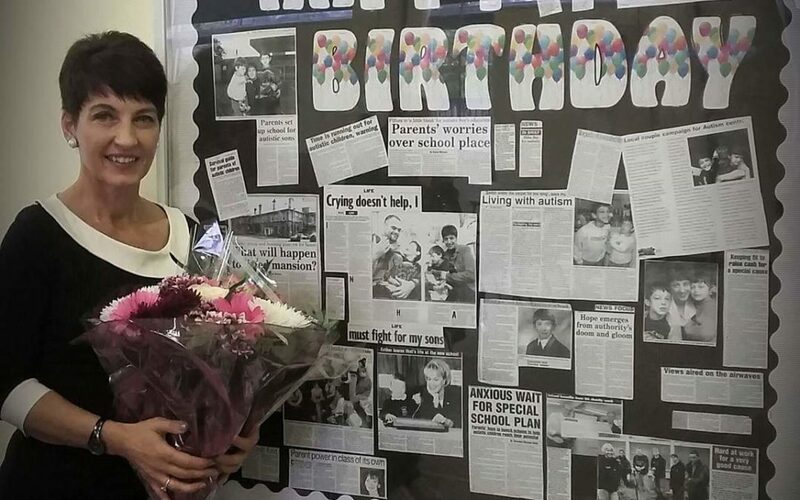 20 years ago this Saturday Anna Kennedy OBE picked up the keys to start her own school from Hillingdon Civic Centre and her story has been history ever since. Anna’s two sons, Patrick, 28 and Angelo, 25, were both diagnosed with an autistic spectrum condition as young children. Anna’s sons were turned away from local mainstream schools, as they couldn’t cater for their individual needs. Both boys were finally offered just five hours of home tuition per week where Anna and her husband decided to turn their garage into a small classroom. Anna decided something had to be done for her boys, with the help of her husband and supporters from the local community, she took on the challenge of setting up a school. Every book she read stressed the importance of early intervention and she was frustrated that nothing was available for her boys. Anna relentlessly tried to raise funds and eventually decided to re-mortgaged their home too. In 1999 Hillingdon Manor School finally opened its doors. Starting out with 19 pupils. The school now teaches 175 pupils and is one of the largest school of its kind for children on the autism spectrum. 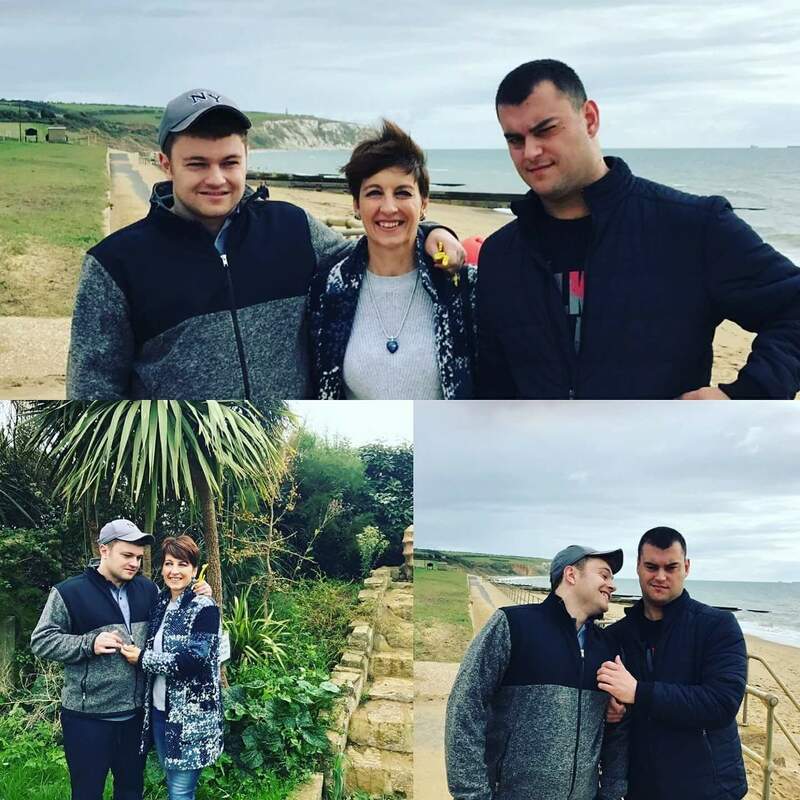 Mrs Kennedy has since co founded a second school , a Vocational College, where her youngest son Angelo now attends and also is founder of a UK Autism Awareness charity that raises awareness and also creates opportunities for autistic children and adults in the performing arts world. In recognition of her work Anna was awarded an OBE in the Queen’s Birthday Honours list of 2012 for her services to special needs education and autism. Her charity, Anna Kennedy Online, provides support and advice about autism-related issues to many parents , carers and promotes inclusion and equality for those with the condition. The charity provides various training workshops and also runs numerous awareness raising events throughout the year one of which is the world known ‘Autism’s Got Talent’ seen on BBC Breakfast, Sky News, RTL, Channel 5 news and more. 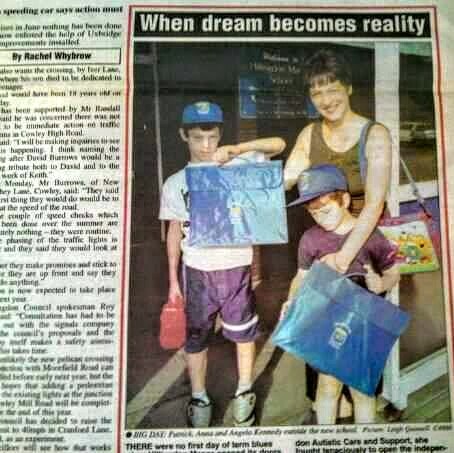 Anna Kennedy shares: ‘I cannot believe 20 years have gone by so quickly it has really been a roller coaster journey. I have had a crash course in absolutely everything. I want to continue to do what I have been doing for years, which is raising awareness with my team of volunteers and ensuring that people with autism are accepted for who they are. It’s so important that all of us who are involved with supporting those on the autism spectrum continue to fight hard and make our voices heard in improving educational and other resources for individuals, their families and carers.